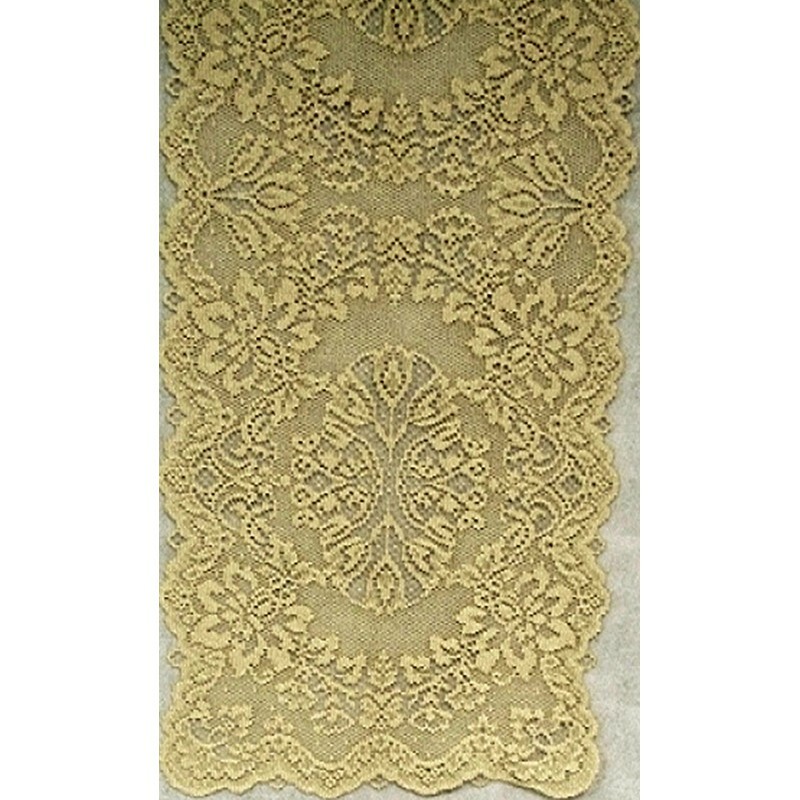 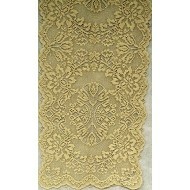 Savoy 14x36 antique gold lame table runner. 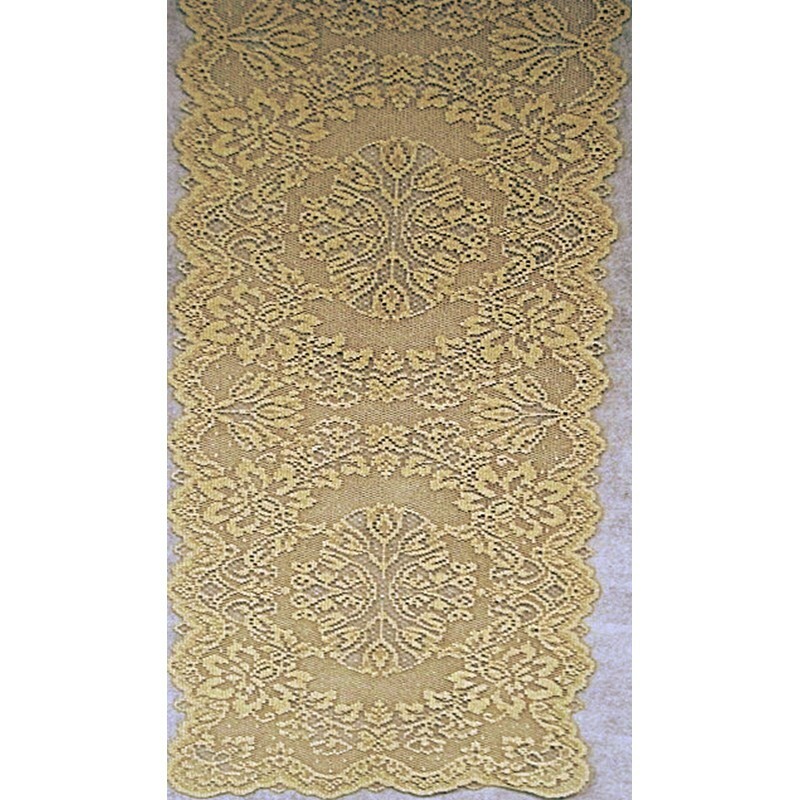 Stylishly done in the Mediterranean setting by blending elements of floral and medallions together and weaving sparkly gold touches throughout to make this table runner pop. 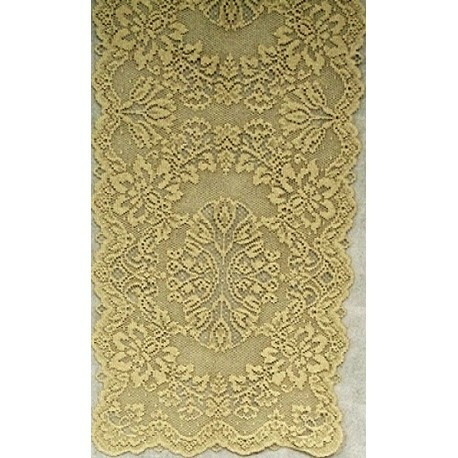 A must see in person to appreciate the true elegance of this runner.